If you have an interest in hillwalking in the mountains in summer conditions and would like to be a confident and self sufficient navigator, happy on grade 1 scarmbling ground and able to look after yourself in summer conditions then this is the course for you. Over the 5 days we will spend 3 days focusing on mountain navigation, taking in some of Snowdonias finest summits along the way. We will then devote 2 days to heading onto steeper ground and looking at the skills involved in enjoying grade 1 scrambles. These latter two days will be tailored to suit the groups skills and aspirations. This course is ideal for complete beginners. It is also a good grounding for anyone looking to gain pre-requiste experience before attending a Mountain Leader training course. The course is suitable for anyone over the age of 18, there is no maximum age and we regularly get a mixture of ages and experience and are used to tailoring the course to meet the needs of a varied group of people. This course includes the MTUK Mountain Skills course – see below for further details. – Some of the best grade 1 scrambles in Snowdonia! 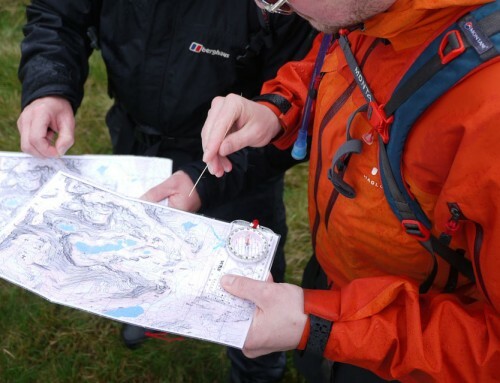 What are the MTUK Mountain Skills Courses? The Mountain Skills course is an ideal choice for walkers interested in applying their countryside walking skills to the mountain environment. If you wish to receive a certificate of attendance on this course you need to register in advance with MTUK. You can join this course without registering with MTUK if you are happy to gain the experience of the course without the certificate of attendance, logbook and handbook. The registration is quick, easy and amazingly good value though! Mountain Skills Film from Rob Johnson – Filmuphigh on Vimeo. 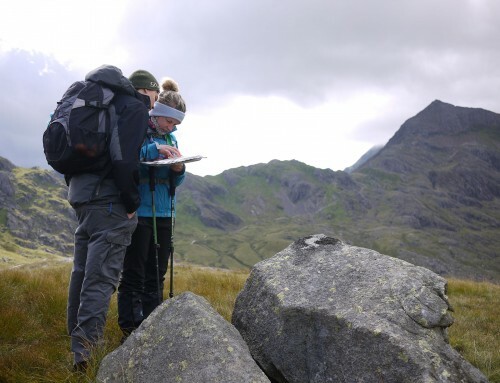 We run the course in Snowdonia and try to ensure that all of the learning takes place as part of a mountain journey. We have the right to roam in Snowdonia and so are not restricted to staying on footpaths and this helps develop our map to ground reading skills. The course fee includes instruction and the use of any specialist equipment. You can read our “whats included” and kit list page here. Huw and I run the courses ourselves. We both hold the MIC qualification which is the highest instructional qualification in the UK. My practical experience on the Llanberis Mountain Rescue Team also adds an additional element to the course. You can read more about our qualifications and experience here. What about accommodation & transport? We do not include accommodation with this course. 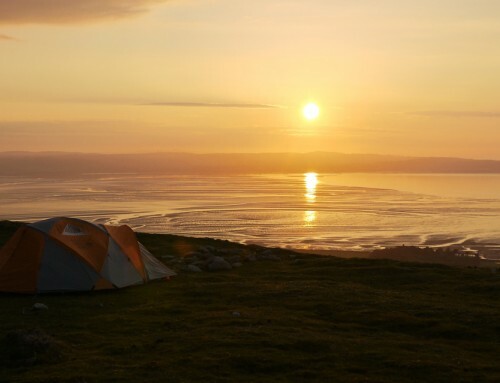 For a variety of different accommodation options in Snowdonia, from camping to nice hotels, visit this link. The link also shows road and rail travel options to Snowdonia. Once you book we will send you a comprehensive set of course notes and a letter of confirmation, this will include a detailed kit list and details of where and when we meet. The first day normally starts at 9:30am in Capel Curig and finishes in the same place at about 4:00pm. You can view the dates of all of our courses throughout the year on the diary page. To book this course please choose a date from the diary page and then click on the button below to complete our booking form and make payment via Paypal. If there is more than 8 weeks before the course commencement date you may choose to secure your space by paying a non-refundable deposit of £100. The balance is then due 8 weeks before the course by bank transfer. I wanted to thank you both for the course. Having trudged, slightly heavy-hearted and slightly delayed, back to London, I have managed to recover from the pains, strains and jitters of the week and am now left with happy memories, a real feeling of achievement and somewhat bruised shins! I wanted to join the course as a general improvement of my mountain skills, but I have come away with more than that; I have a new sense of confidence, a love of scrambling and an understanding of my shortcomings that I can work on. And I did all that in an incredibly beautiful setting with some lovely people. The week was great, including the great weather that you laid on for us, so thank you for everything. You can be quite sure that I will be back for more in future. From a tragically flat London…! Many thanks again for a great week in the hills of snowdon. The course did everthing it promised plus some key skills on “spatial awareness”. Enjoyed your relaxed and informative way of teaching with no rushing and always ready to answer our many questions. All the best for you and your family Rob. Regards, Gavin.